Heat oven to 400°F. Line large cookie sheet with Reynolds® Parchment Paper. In small bowl, reserve 1/4 cup of the mozzarella cheese. Unroll dough on cookie sheet. Press to form 12-inch square. 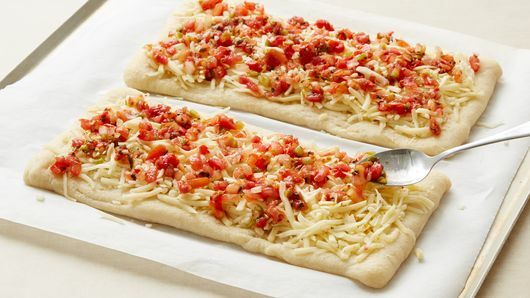 With pizza cutter or kitchen scissors, cut dough in half. Pinch dough around edges of each half to form rim, crimping edges as desired. Bake 6 minutes. Sprinkle remaining 1 3/4 cups mozzarella cheese and the pepper Jack cheese evenly over flatbreads to within 1/2 inch of edges. Spoon salsa evenly over cheese; gently spread. 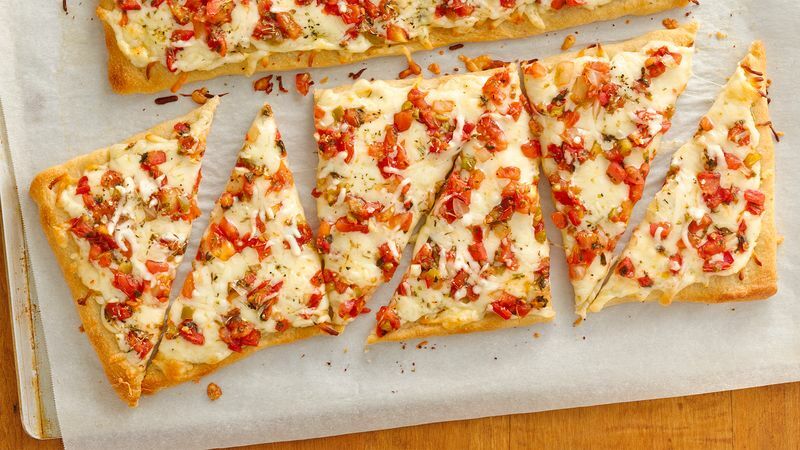 Sprinkle with reserved 1/4 cup mozzarella cheese. Sprinkle with Italian seasoning and garlic powder. 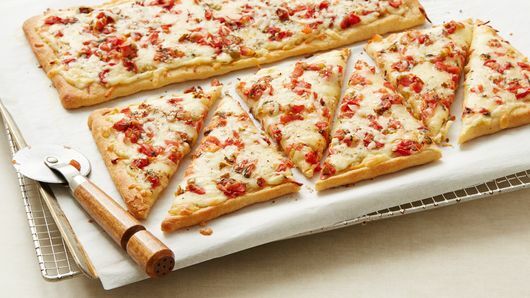 Bake an additional 10 to 15 minutes or until crust is golden brown and cheese is melted. 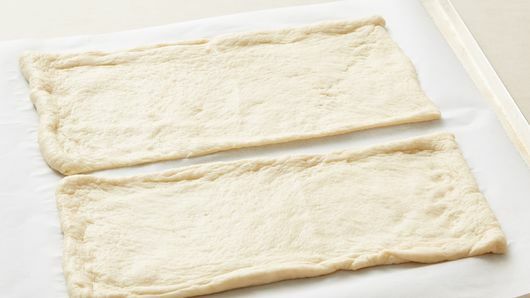 Cut each flatbread crosswise into thirds; cut each third in half diagonally to make triangles.